The Scot was charged with the task of succeeding Sir Alex Ferguson at Old Trafford, but lasted a matter of months in the role before being dismissed. David Moyes spent 10 months as Manchester United manager. DAVID MOYES HAS defiantly declared that he would not do anything differently if he was given a second shot at succeeding Sir Alex Ferguson as Manchester United manager. Having proven himself in the Premier League over several years at Everton, the Scot was the man the Red Devils turned to when fellow countryman Sir Alex Ferguson departed Old Trafford in 2013. Filling the shoes of a legendary figure was never going to be easy, but United had faith in Moyes and handed him a six-year contract. He would see out just eight months of that agreement before being moved on, with the then reigning champions enduring a humbling fall from grace under his guidance. Moyes concedes that he did not offer enough in a high-profile post, but insists he has no regrets at having taken the job or the manner in which he went about his business. "We hoped we could have talked him out of Real Madrid." The 55-year-old told beIN Sports: “I never regret taking Manchester United. “If the job came up again today, I’d take it in a minute. “I’ve not been at Real Madrid as a manager but I’ve seen Manchester United and for me it is the best club in the world. I think there’s a big demand. Whoever gets the job, you have to win the games and I fully understood that. “I didn’t go in thinking that wasn’t the case. I didn’t win enough games, and ultimately if you don’t win enough games you lose your job. “I wouldn’t do anything different. I’ve got some small things – I might have in hindsight kept one of the staff which Sir Alex had. I tried to do that and it didn’t work out. I offered Rene [Meulensteen] the job, and he didn’t take it, and in hindsight I would have been better keeping Mike [Phelan]. Moyes has filled three coaching positions since leaving United, none of which have lasted very long. A move to Spain at Real Sociedad proved to be a questionable call, while he was unable to prevent Sunderland from slipping out of the Premier League in 2017. His time at West Ham proved to be more successful, as he brought about a reversal in fortune for the east London outfit, but he left that role last summer at the end of a six-month agreement. 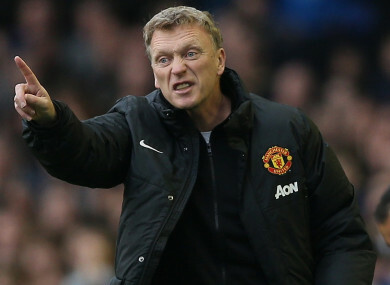 Email “Defiant Moyes 'wouldn’t do anything differently' if given Man United chance again”. Feedback on “Defiant Moyes 'wouldn’t do anything differently' if given Man United chance again”.